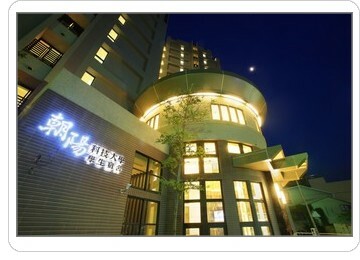 Students who intend to live in the dormitory would be accepted. The fee for each quarter ranges from NT$6,000 to 15,000, depend on the size of the suit, and is subject to change. Public Equipment: Laundry room, kitchen, water fountain, common area, ATM, convenience store, cafeteria, 24-hour RA service, security guard, and CCTV. (3 miles away from campus) Double NTD 12,528 Residence Hall Amenities: Bed, desk, closet, air conditioning, telephone, private bath, small refrigerator, balcony. Public Equipment: Laundry room, kitchen, water fountain, audio-visual room, fitness room, motorcycle parking lot, 24-hour RA service, security guard, and CCTV. (1 mile away from campus) Single NTD 15,000 Residence Hall Amenities: Bed, desk, closet, air conditioning, telephone, private bath, small refrigerator. Public Equipment: Laundry room, kitchen, water fountain, motorcycle parking lot, 24-hour RA service, security guard, and CCTV. (800 meters away from campus) Double NTD 13,200 Residence Hall Amenities: Bed, desk, closet, air conditioning, telephone, private bath, small refrigerator, balcony. Public Equipment: Laundry room, water fountain, motorcycle parking lot, 24-hour RA service, security guard, and CCTV. The above mentioned fees do not include water, electricity, and air conditioning charges. Bed equipment rental fees (optional) and deposit charges apply. No WiFi available. Please bring your own Lan cable. Space is limited. No guarantee of a space. Space is reserved on a first come, first served basis.